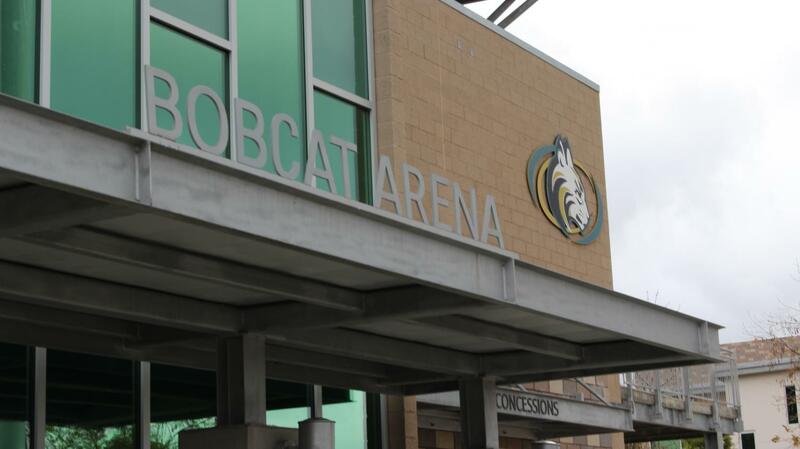 An empty entrance to the Bobcat Arena marking the end of another basketball season. Three months of hard work and determination, hours and hours of practice and 22 tests of their skills and ability. All of this time to reach history for JV boys basketball at Sage Creek with a perfect record of 22-0. JV is traditionally seen as the underdog compared to varsity but have now made their own mark and became not only known around the Sage Creek campus but around the entirety of San Diego. “We are all very excited because it was one of our goals to go undefeated this year, if we would have lost our last game, it would have not been very fun so we were all pretty emotional in the locker room,” sophomore Zack Chandler stated. Furthermore, Coach DeAndre Walker believes that this class of sophomores will only progress to greater lengths due to the group’s performance last year as freshmen and their astonishing efforts. “My original expectations this year coaching JV were to win and have an above-average season. Being that the majority of this year’s JV team played on [the] freshmen team last year I expected us to play good basketball [since] last year’s freshman team was amazing,” Walker said. 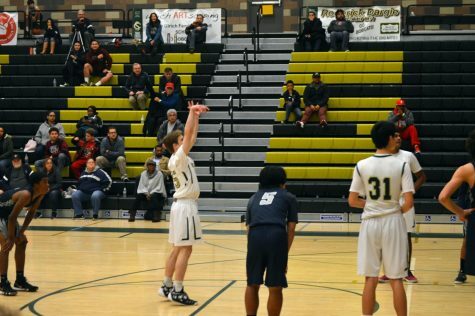 Former JV captain and sophomore Carson Olander shoots a free throw during CIF against Madison High School. As the expectations were high, the boys did not only face emotional challenges but physical challenges as well throughout the season. “We had some tough games, we went to overtime twice, the most challenging part was going undefeated with all of those games cause you could have one or two slip-ups where you could have a bad game, but we pushed through and managed to push through all of them,” Chandler said. With a full squad of hard-working athletes on their way to varsity next year, junior varsity basketball player, James Ellenstein, expresses his excitement for the following season. “I’m really looking forward to next season, it is going to definitely help to have guys from a winning team up with us,” Ellenstein said. Although the boys may have struggled with the challenges, Walker had a different perspective. “To be honest, [I] never really thought about the challenges. [I] tried my best to approach it one game at a time and never really focused on the record,” Walker said. Overall, as this season comes to an end, Walker’s mindset is only looking towards the development and future of the boys basketball program.